I think today’s recipe is going to blow your mind! Why? Last week we were set to have tofu for dinner but I wasn’t feeling any of the recipes we normally make. 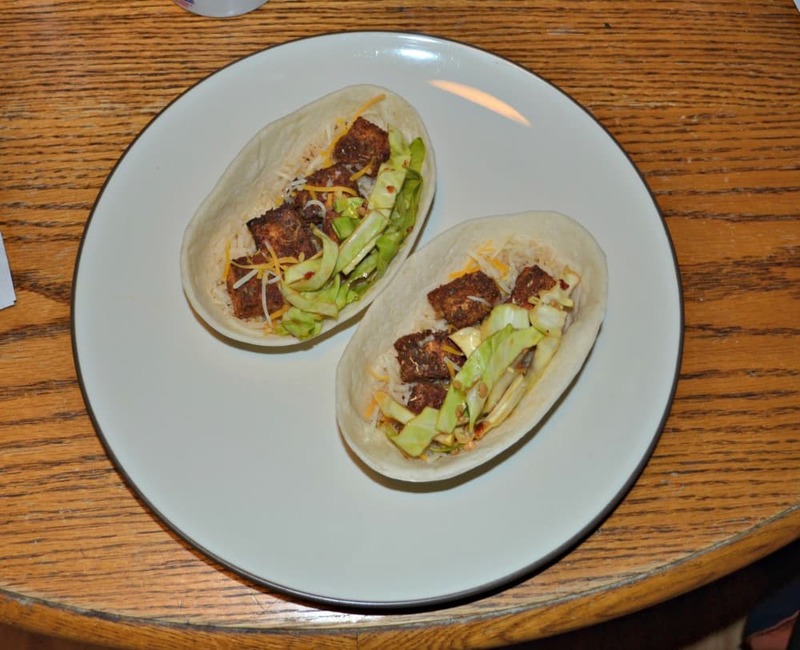 On a whim I made some crispy blackened tofu tacos and paired them with Asian slaw. I know what you are thinking; how do those two things go together? I don’t really know but they were awesome together! It was fusion cuisine at its best. 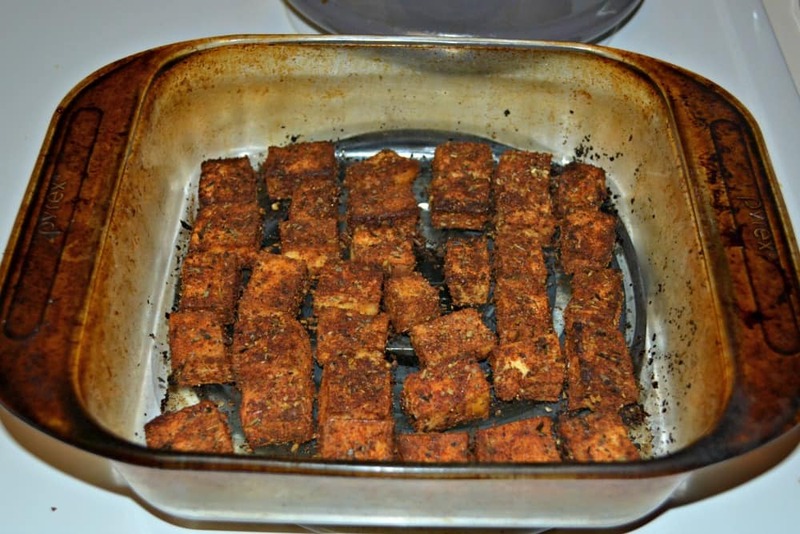 The tofu is simply rubbed with a Cajun blackened dry rub and baked in the oven until it is crispy. The slaw is made with cabbage, soy sauce, and some spices. I think perhaps it’s the spicy factor that blends these together into one delicious taco. I topped them off with cheese and sour cream and they were awesome! In fact, after trying one my husband looks at me and told me to put them on the favorites rotation because he wants to have them several times a month! I’ll take that as high praise. This meal is perfect to share for this weeks Sunday Supper which is featuring meatless meals! Since we eat meatless at least twice a week I know I’ll be using a lot of these meals in the weeks to come! Preheat the oven to 425 degrees. Spray a 9 x 9 baking pan with cooking spray. Press the water out of the tofu. Cut into 4 strips. Cut each strip in half and then into 4 pieces, making a total of 32 cubes. In a small bowl combine the brown sugar, paprika, garlic salt, black pepper, oregano, cumin, and cayenne pepper. Mix well. Dip each tofu cube into the blackened seasoning, covering the cube on all sides. Place in the baking dish and cook for 40-45 minutes, flipping the tofu once during cooking. Meanwhile, place the sliced cabbage in a large container and set aside. In a small saucepan combine the rice vinegar, soy sauce, sugar, garlic, and chile paste. Bring to a boil, stirring occasionally, and immediately pour over top of the cabbage. Refrigerate until ready to use. 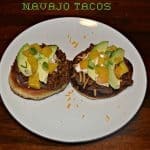 To assemble the tacos put a few tablespoons of rice on a soft torilla shell. Place5 or 6 tofu cubes on top and then a spoonful of the Asian slaw. Sprinkle with cheese and finish with a dollop of sour cream. 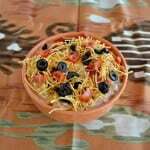 I love fusion food and this recipe sounds so good!!! Thank you for sharing Heather! I love this! Love the homemade slaw and I’ve been dying to try those Taco bowls, I’ve got to try tofu! 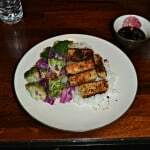 This is a great tofu starter recipe because of all the flavors going on. If you haven’t tried it before, you need too! Into the rotation several times a month? That is a total win! Definite win! We had them again this week! 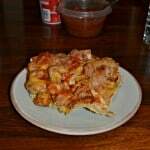 I soooooooooo love your recipe! The seasonings you used is all me!! Wow, your tacos look amazing! Who knew tofu could be SO tempting!!!? Wow what a combo! Cajun and Asian…You could call it “Cajian” Hah! I can totally see that pairing working. Yum! This looks GREAT! I can’t wait to make them! I love blackened tofu! Now I have an excuse to make some tacos! Love the asian slaw with them as well. This looks really good. I love to cook and read too and blog about both. I hope you stop by my Small Victories Sunday linky and link up to 3 recipes/book reviews! I would have never thought to do tofu like this! What a great idea! I love this, Heather! Tofu is so plain on its own that it just cries out for spices and you’ve piled on the flavor with the Cajun rub. Pinning on my Recipes to Try board! Yum! Tacos are one of my favorite ways to eat a vegetarian meal. I haven’t experimented with tofu all that much, but looks like I need to start! Great spices and I’m always a fan of Asian slaw. 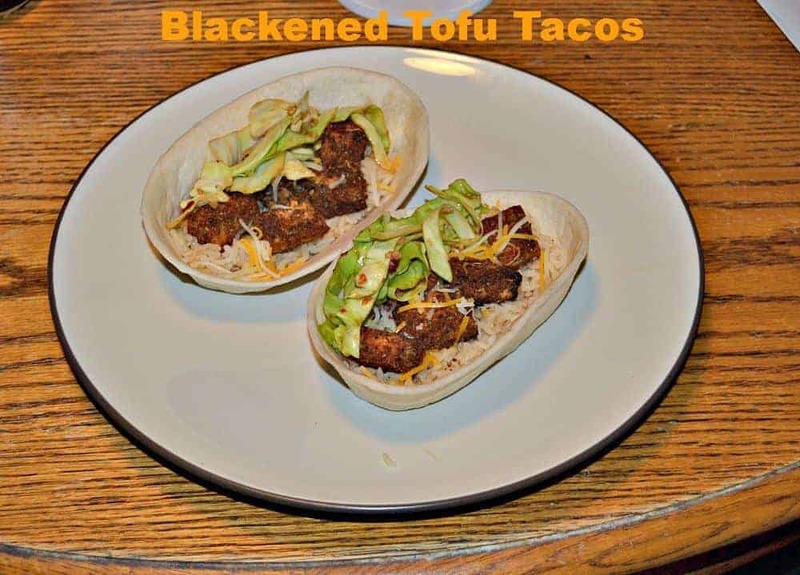 LOVE the Crispy Blackened Tofu Tacos!!! Fabulous! Awesome! I love blackened anything! I like that hubs enjoyed them so much he wants them over and over again now. I don’t know if I could get my guy to go for them, but I really want to try! These would be great along with fish tacos for a Lenten meal! I have made it my mission to try serving tofu in new ways this year and this looks like a fantastic recipe to add to that list. I usually don’t really like tofu, but yours looks so incredibly flavorful it might make a convert out of me!